Mario Tennis Aces is getting a beta in June , Nintendo has announced .The sports game's Pre-launch Online Tournament will run from 1-3 June ,although the exact start and end times will vary by region . 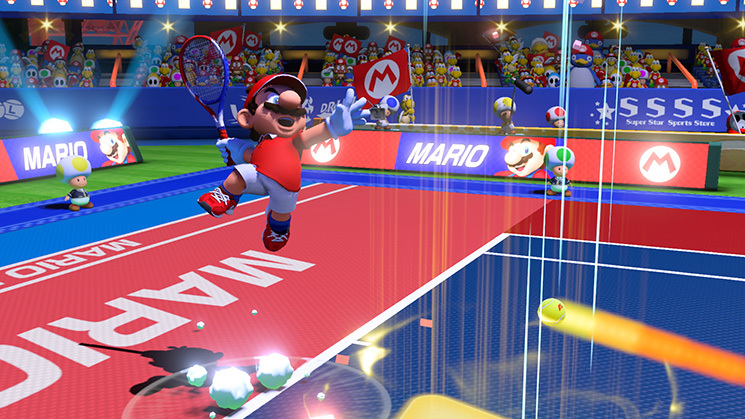 Four characters are playable at the start of the demo : Mario ,Peach ,Yoshi and Bowser .if you gain enough performance related points ,you can unlock a further five characters ,though it's not clear who those are .Matches are playable online against other people around the world or in single player against AI controlled opponents ,but in this trial you will need to be connected to the internet at all the time ,when ever which mode you play .Nintendo also states that all participants will be able to unlock a free additional costume . 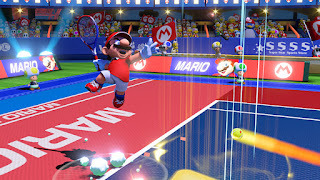 Mario Tennis Aces is coming to Switch on 22 June .It introduces new mechanics such as precise Zone shots and time bending Zone Speed as well as ultra powerful special Shots and More .